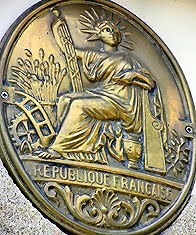 I have just spoken to a Notaire contact of mine who tells me that the TVA repayment rules in France have just been changed. It was always the case that if you sold a property in France that was less than 5 years old you would have to pay back TVA (VAT) on the entire selling price. At a rate of 19.6% this could often be quite a sum and was a large factor in some people's choice to sell or not sell their Languedoc property. Notaire Maitre PEITAVY has just told me that this is no longer the case and TVA is no longer payable here. I have just been given a new house for sale in Port du Roy marina development in Aigues Mortes. This town house in Port du Roy is, in my opinion, one of the best to come on to the market in a while. It is a 3 bed 2 bath end of terrace house with small garden, first floor terrace and hard to find 12.37m mooring length. The seller has been very realistic with his asking price hoping to steal the show from other similair house in the marina with a very competitive price of €399,000. Details will be going up onto the Languedoc Property Finders website and the house will be available to view along with other properties in the Port du Roy from next week. Call me to talk about the Port du Roy or any other Languedoc Properties on either of the numbers below. I had a long conversation with a client of mine last week selling a fab house in Cruscades, a lovely Languedoc house just north of Narbonne. The conversation was about price and I told him that if he wanted to achieve a sale he would need to drop his price to €599,000. This was not easy for the client to hear and was made all the more diffuclt as he was not getting any feedback from other agents. In the end he agreed to follow my advice and we dropped the price to €599,000. At this price the house represents good value for money in todays market and I am pleased to say that an offer at the asking price has just been accepted. This just goes to show that you cannot judge the value of a property by how much you can knock off the asking price. I have just come off the phone with the vendor of this fabulous property in Pezenas who has instructed me to reduce the asking price to €450,000. At this price this house is definately not going to hang around for long. 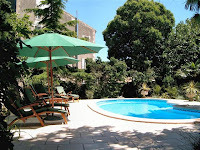 It really is a fabulous property, but more importantly than that, it's in a fabulous location. Port du Roy update - New house in Quai des Galions???? Went to the Port du Roy marina in Aigues Mortes on Saturday for some viewings and to see a new house that may be coming on to the market. It was pouring with rain when I arrived but my clients were on time and were very nice people so that made things a bit better. Then after 5 mins the rain stopped and the sun came out. Fantastic. Even in the rain and the gloom I seem to love the Port du Roy more and more each time I visit. The house in the Port du Roy that I visited to value was fab. A really nice position in the Quai des Galions section of the marina. The house, which is 3 beds and 2 baths is well situated within the Quai des Galions with a really nice outlook and the bonus of a 12.66m mooring. One of very few in the marina of this length. Approx 90 sqm with an integral garage, downstairs WC and fab balcony off the main bedroom overlooking the water. I think that Quai des Galions is one of the nicest parts of the Port du Roy marina and am hoping that this house comes on to the market. It also has a real bonus of being end of terrace which means you get an access way down the side of the house to the mooring. Not much at first glance but when you stop and think about it this gives you the ability to move stuff from boat to car and back without having to go through the house. Very handy indeed. I am due to speak to the owner of this house this week so will let you know what happens. 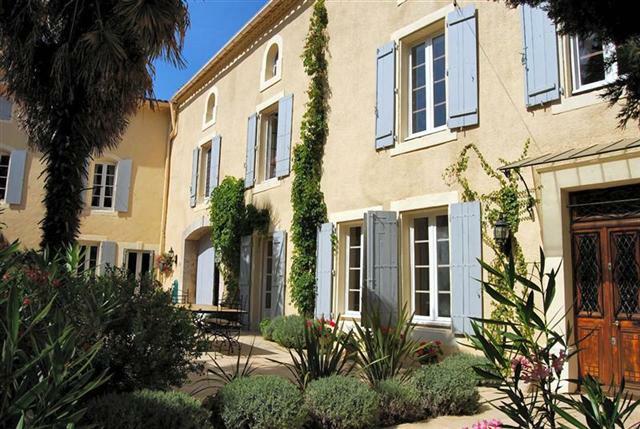 If it does come on to the market this house in Quai des Galions is sure to draw a lot of interest.